and many more to go! As a Rain Bird Select Contractor, we work to make your sprinkler installation experience as effortless as possible. Our sprinkler systems offer full coverage for even distribution of water and most installations are completed within one day. We repair and service all brands of sprinklers to ensure your system is functioning properly for maximum efficiency and savings. We also offer preventative maintenance packages to keep your system from developing any serious issues. Save time, effort & money this holiday season with our Holiday Lighting program. Our energy-saving LED lights are more efficient & safer than incandescent bulbs, and they have a 100,000-hour lifespan to ensure your display is long-lasting! Nature's Helper offers a 6-Step Fertilizer Program to keep your lawn lush and green throughout the season. Our fertilizer program includes grub & weed control to prevent damage to your lawn and ensure your grass has the nutrients it needs to flourish. 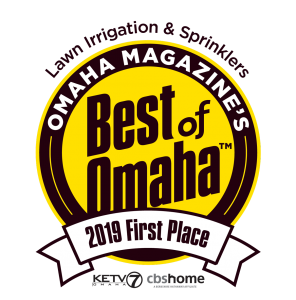 Welcome to Nature’s Helper, Omaha’s premier sprinkler company and a full-service provider of advanced irrigation systems. For more than 20 years, we’ve been helping customers throughout the region conserve water while keeping their lawns and gardens healthy. We’re proud to offer a range of services for both residential and commercial clients. Keep exploring our website to learn more, or get in touch to speak with a representative directly. As our name implies, we are nature’s helpers. We can design and install highly effective, highly efficient irrigation systems for any property. 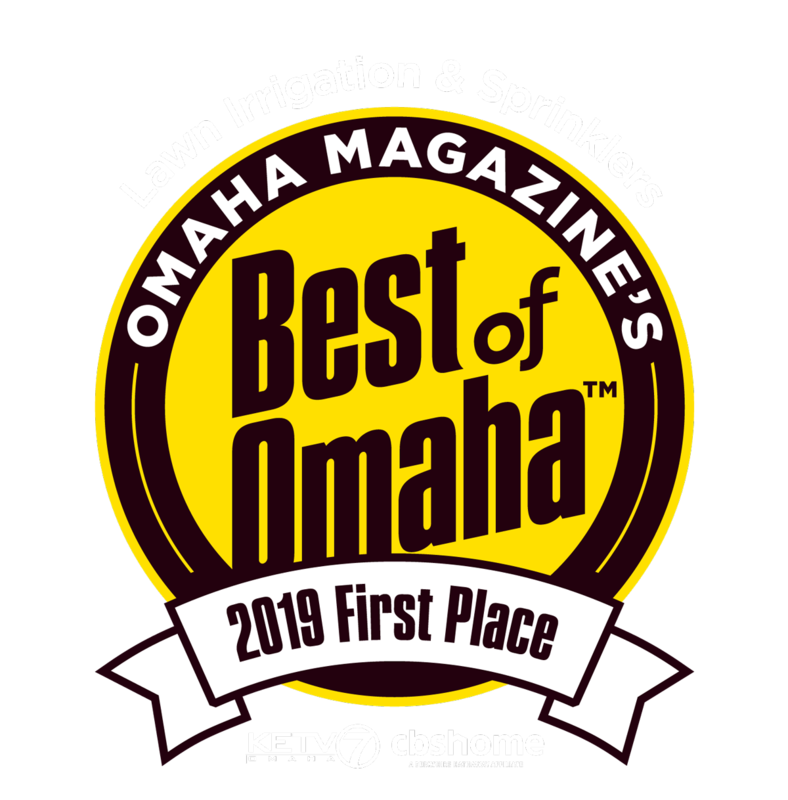 We are one of the few sprinkler companies in Omaha to have been named a Rain Bird Select Contractor offering service and support for the company’s full range of products. We also work with other leading manufacturers to provide complete solutions for every home and every price point. We customize each system we design to your needs. We offer both conventional and drip irrigation sprinklers — and back everything with a quality guarantee. Your initial quote is always free and includes a comprehensive on-site assessment to determine your property’s unique needs. Start-up and winterization services ensure that freezing temperatures don’t do damage to your sprinkler system. They’re also an opportunity to perform a thorough inspection and replace any worn or damaged parts. For many properties, we also recommend at least one mid-season check to confirm your system is working properly and providing adequate coverage for your lawn. We can also provide emergency repairs and other services as necessary. To learn more or to have a technician dispatched to your home, call us directly. Starting up your sprinkler system in the spring can be a challenge after a long winter! During your spring sprinkler start-up, we will check all components of the sprinkler system to ensure it is working properly before the start of the season. As a part of our commitment to keeping your sprinkler system running at peak performance and conserving water, we offer mid-season sprinkler system checks during the summer to make adjustments to your watering schedule, inspect and test your sprinkler heads, and ensure your system isn’t wasting water. Nature’s Helper is happy to offer sprinkler winterization for Omaha lawns to prepare your sprinkler system for winter. It’s very important to winterize sprinkler systems because water that sits in your pipes can freeze as it gets colder and cause pipes to burst. Our winterization process is extremely easy for you. As long as the inside drain is open and the water is off to your sprinkler system, you don’t even need to be home. We will come in and blow all the water out of your pipes with an industrial air compressor so your system will be water-free for the winter. Looking to keep your lawn in great shape year round, but don’t always have the time to care for it? Our 6-step fertilizer program is perfect for you! Our fertilizer program uses The Anderson’s fertilizer to provide proper nutrients, weed and grub control so your lawn is kept lush and green — without unwanted weeds or pests. Our team will also spot spray any difficult weeds and our 6-step process ensures optimal timing for each fertilizer application. 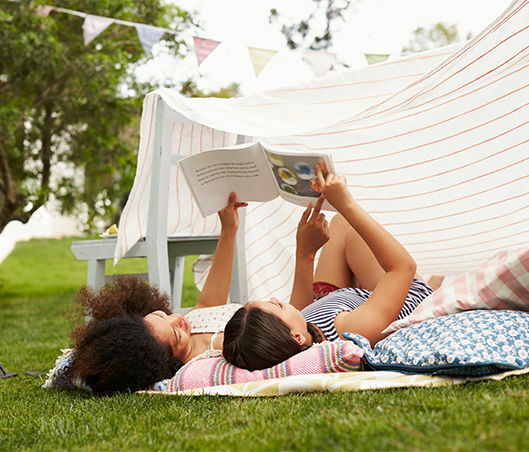 With our fertilizer program, you can sit back and relax while Nature’s Helper takes care of the rest! If you’re seeking holiday lighting installation for your home, you should know Nature’s Helper offers holiday lighting services in Omaha as well. Holiday lighting can look fantastic when done right, and you definitely don’t want to be the only house on the block not to have any. Hanging holiday lighting can be a pain, and it often doesn’t come out looking like you hoped, so let us create a holiday lighting package just for you! We can adorn your home or business with beautiful themed lights in shapes like snowflakes, candy canes and more. You sit back and relax while we create a beautiful lighting display for your home for the holidays! An investment in training and deeply developed industry connections distinguish Nature’s Helper from other Omaha-area sprinkler companies. We are an Irrigation Association (IA) Certified Irrigation Contractor (CIC) and an EPA WaterSense partner. We’ve also been named one of Omaha Magazine’s Best of Omaha™ companies every year since 2009. We are proud to say that over the years we’ve earned our reputation for service, excellence, and irrigation expertise. But you don’t have to take our word for it — check out our testimonials page to read what some of our previous customers have to say about working with Nature’s Helper. Keep your home and lawn looking great year round with one of our residential services. We offer everything from sprinkler installation and repair to landscape lighting, holiday lighting to decorate your home for the holidays, and so much more! Though we made our name as a sprinkler company for some of Omaha’s most demanding homeowners, we’re also available to take on commercial projects of any size. Our clients include school campuses, office complexes and other corporate facilities, multi-unit residential housing and more. We work with your property management and landscaping teams to provide smart solutions that keep your overheadcosts low without sacrificing proper irrigation. we have saved omaha 232,000,000 gallons of water and we are still counting!